Workday: Historic Ships of Baltimore June 04, 2011 – Chesapeake Chapter U.S.L.H.S. 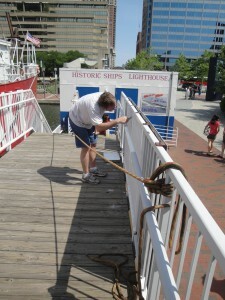 In June of 2011 eight Chapter volunteers spent the day on the Lightship Chesapeake. Volunteers painted the railings going up to the ship and then worked on a lot of the electrical fixtures. Several were being cleaned up so they could be put back once new wiring was installed. 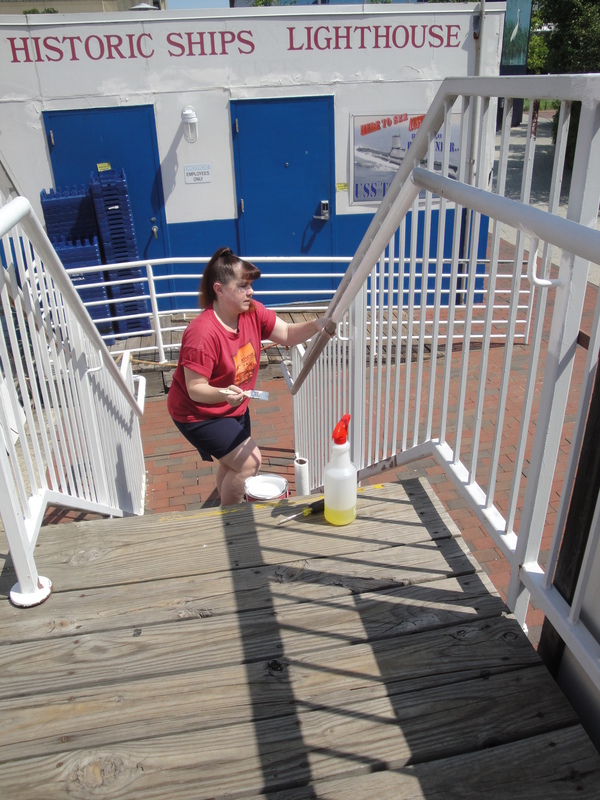 Drew and Lynne Shettle paint the railings. 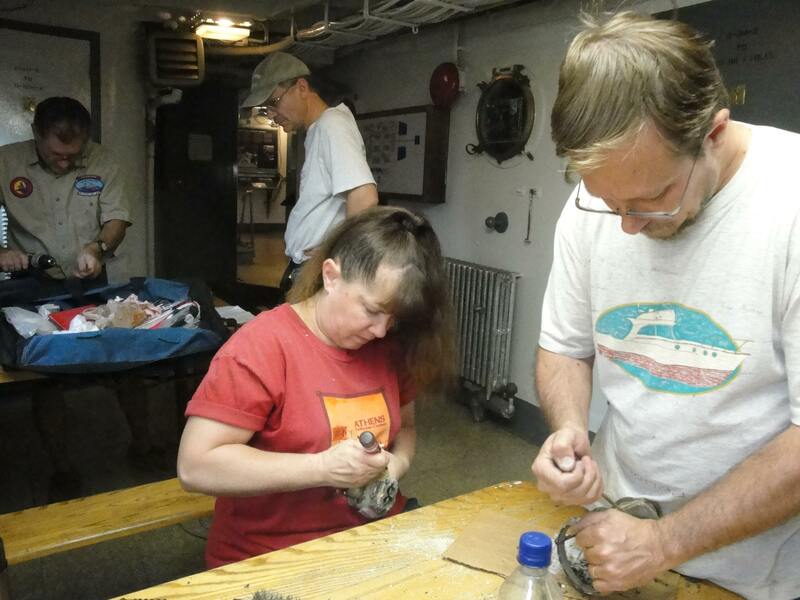 Everyone is working on electrical fixers. 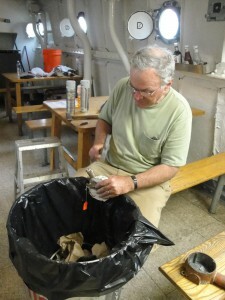 Drew and Lynne scrape the paint off fixtures. Ed Shaw does the same. 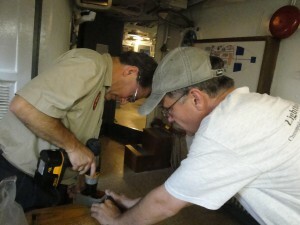 Greg and Andy drill new holes for he fixtures.